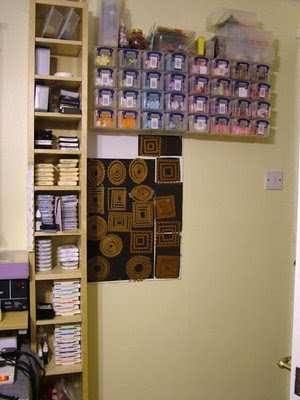 On SCS forum I read that storing the sets in CD cases was quite popular. So I tried it with the magnetic sheet stuck to the inside of the cases. It worked for me at home except that I found it took 2 cases to hold a complete (4) set. 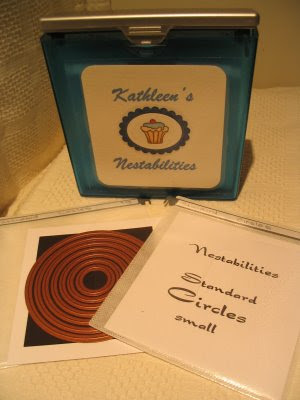 As I have complete sets of circles, ovals, squares, rectangles as well as stars and ribbon tags that was a number of CD cases taking up space. I also often go to my friends home for all day papercrafting. The first time that I travelled with them a cases cracked. So I looked around all of our (Australian) department, discount etc stores for ideas. I found these at Kmart and they were only $1.00 each. They are shockproof and have 10 suspended double sided pockets in them. I made a card for each individual set and stuck a sheet of magnet on the back. 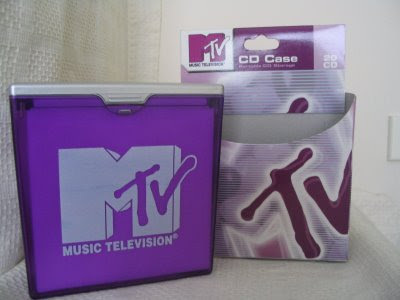 I found that one case held comfortably 3 complete sets using only the front of the pockets. I also printed out a label for the front of the box and covered it with a piece of clear contact to protect it from wear and tear. I have 2 boxes on the go and there is still room. They are easily transported and my nestabilities are fully protected. 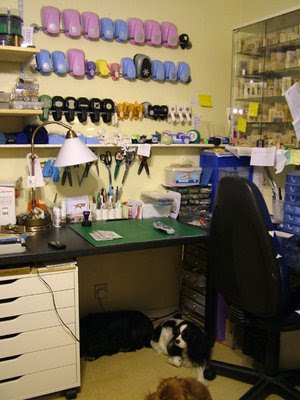 The talented Ali Edwards has posted an entry about her studio as well as another one in which she answers questions from readers. 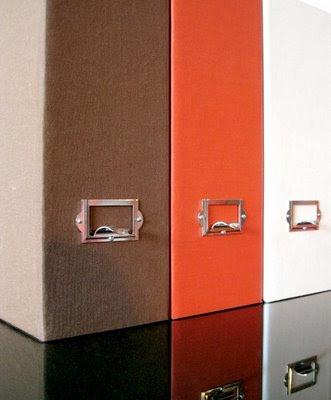 Check this link to Making Memories blog where you will find clever storage ideas. Specially like the magnetic knife rack used to store scissors and other metal tools. Other ideas include Glitter, embellishments and ribbon. 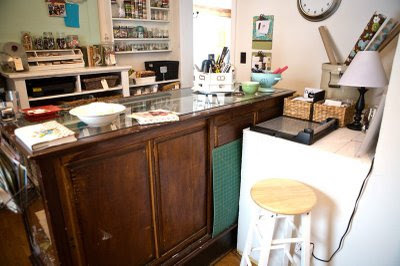 Over at Apartment Therapy, Monika has posted this lovely entry. 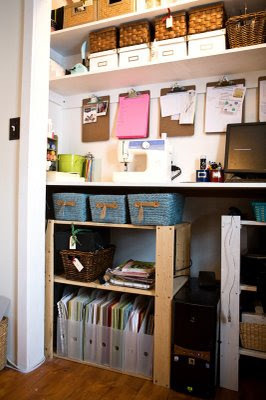 I am in love with this idea, although I would use Muji cardboard holders as a base, which are slightly different. 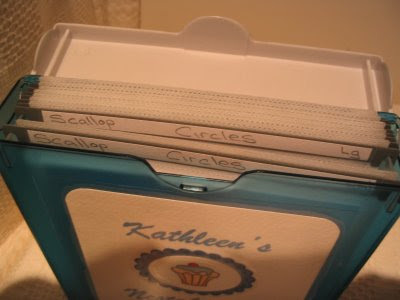 The idea can be used to store paper and cardstock by colour. Melanie Marshall's studio has been updated here and very kindly Melanie sent me notification so you can all have a browse on the new changes. 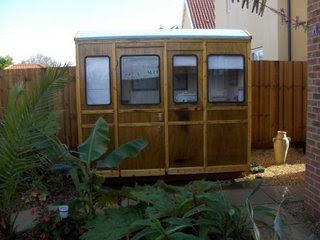 Worth a visit as it has loads of photos and explanation on how she stores everything in a budget and space concious. 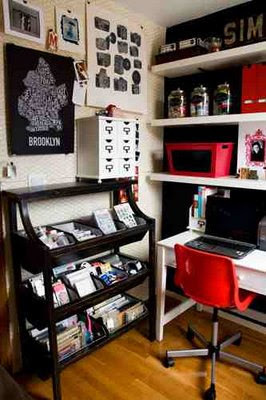 When I saw this pictures I thought, this is great because it really shows that small spaces can be perfect to create. 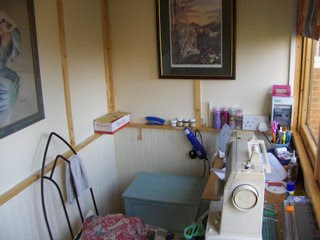 Click here for the main page of her blog and here to go directly to the crafty space post. Bev's ideas are great, I love that magnetic board for the nestabilities. Check out more photos and explanation click here.